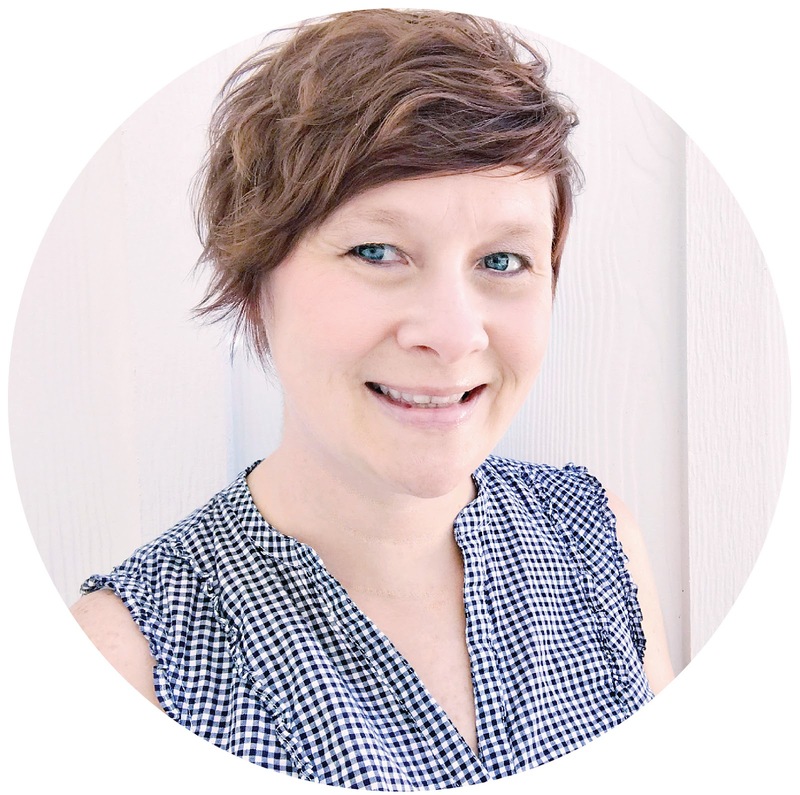 Thanksgiving has come and gone, and I know we all have photos of our family and our favorite foods to document! 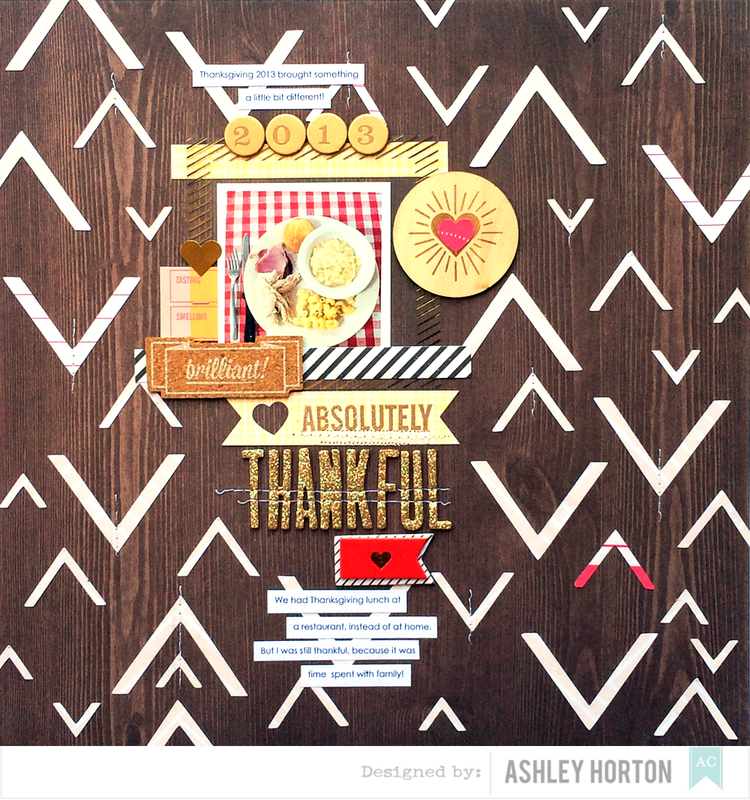 This past week on the American Crafts Blog, the Design Team shared Thanksgiving inspiration, and my layout was on the Blog yesterday. If you missed any of this past week's posts, make sure you stop by and check out ideas for cards, layouts and projects for this year's Thanksgiving photos or ideas to pin for next Thanksgiving! Here's a look at what I created! How to: Start out by cutting triangle shapes on your die cut machine or hand cut some triangle shapes. Arrange the triangles on a dark woodgrain background paper and adhere. Once your triangles are in place, choose several of your shapes and add machine stitching. Use a Shimelle photo overlay and layer it behind your photo. Place your photo and mat on the upper left hand corner of the page. 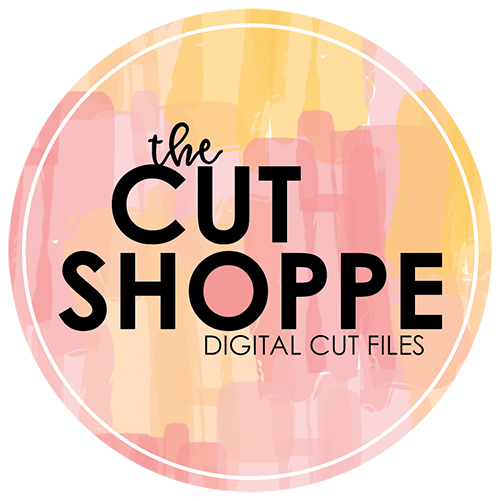 Create your title using the die set from the Shimelle collection and stamp the phrase Absolutely on your die cut banner. Finish your title with the Gold Fitzgerald Thickers. Add a date above your photo using the Dunbar Thickers. Embellish around your photo using the Shimelle Cork Stickers, Wood Veneers, and Bits pieces. 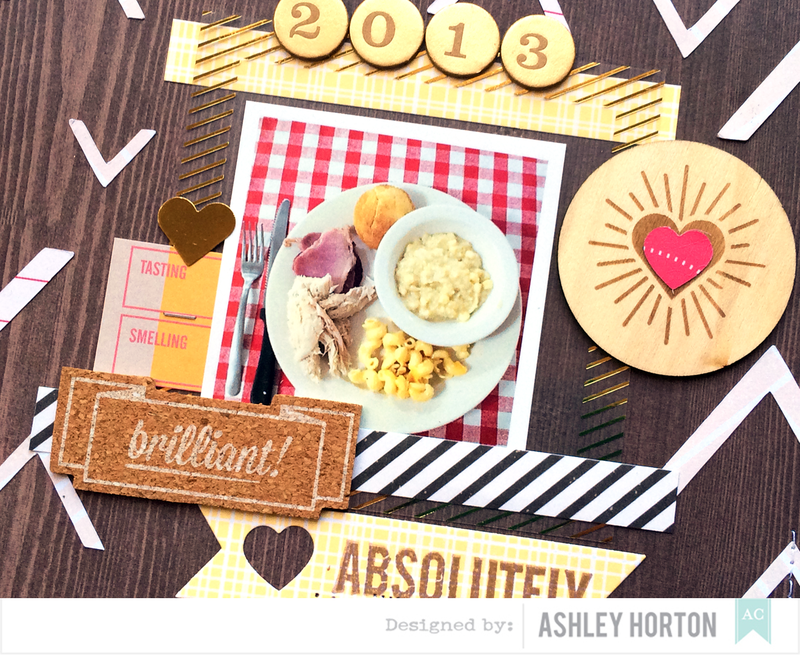 Add journaling strips to finish your layout.